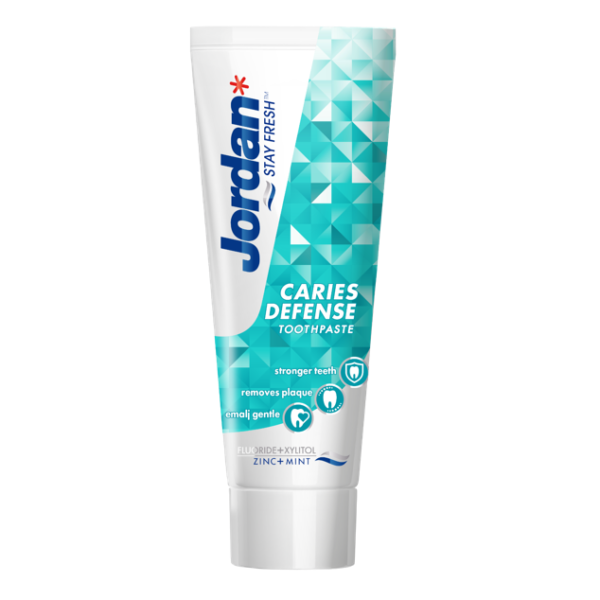 Jordan Cavity Protection is a toothpaste with a mild, yet fresh taste. This toothpaste differentiate from the others by containing a much higher level of xylitol (9,9%). The combination of fluoride and xylitol gives you stronger teeth and better remineralisation compared to fluoride alone – all to make this a superior anti-cavity protection. The toothpaste is gentle on the enamel.